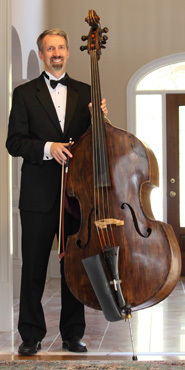 Freelance musician Peter Hildebrandt has been playing the string bass since he was eight. Nearly 40 years later, he’s still at it with classical, jazz, and everything in between. Principal bassist with the Georgia Philharmonic, he also regularly plays with the Johns Creek Symphony Orchestra, Vocal Arts Atlanta, the After Hours Jazz Ensemble, and various other organizations around Atlanta. Peter is the founder of the Georgia Chamber Music Retreat, and co-founder of the Rose City Chamber Orchestra in Oregon. When he’s not playing music, he’s usually playing cello or piano. Peter is also a musician contractor, with a list of over 1,500 musicians in the Atlanta metro area he works with. Feel free to contact him at the e-mail address below to engage him for your event. 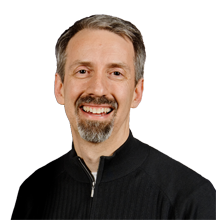 During the day, Peter specializes in producing product designs that are steeped in user friendliness. To accomplish this requires watching and listening to customers at every turn. Learn more about his consulting firm at covetability.com. If you'd like to know more about Peter's professional life, take a look at his resume.